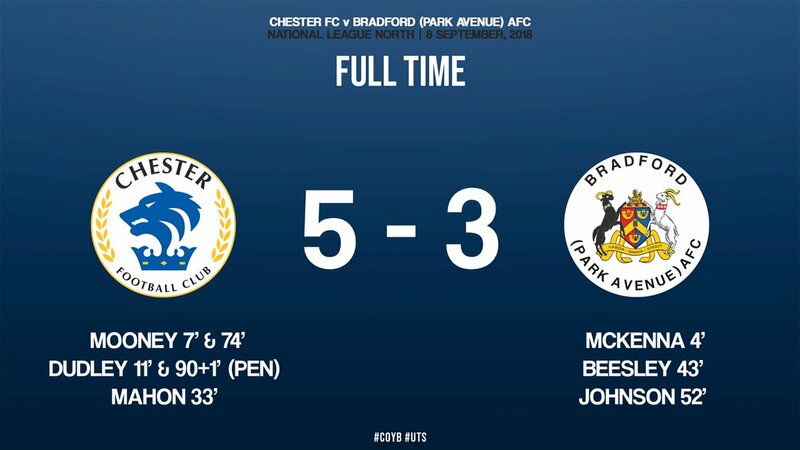 Chester FC put in an outstanding attacking performance, overcoming Bradford PA in an eight goal thriller at the Swansway Chester Stadium. Ben McKenna fired Bradford ahead before Mooney, Dudley and Mahon put the Blues three-one up. There was some doubt for the hosts though as Beesley and Johnson got the visitors level with goals either side of half time. Chester dug deep nevertheless, with Mooney and Dudley both getting their second to secure the three points. The Blues joint managers, Bernard Morley and Anthony Johnson, named an unchanged side from the team that rescued a point in stoppage time against Guiseley a week ago. Striker Deane Smalley featured on the bench for the first time. It was the hosts who had the first chance of the game as Matty Hughes picked the ball up in the left channel and cut inside, firing just off target. Bradford responded quickly though and took the lead in the fourth minute as Jake Beesley created space down the left side and pulled it back for Ben McKenna, who converted from eight yards. Chester responded well though and Matty Hughes again caused problems, cutting in from the right side this time before firing too close to Steven Drench in the Bradford goal. It didn’t take long before the Blues were level as Anthony Dudley created space down the left side before firing across the face of goal, with Dan Mooney bundling the ball home at the back post. The Blues kept up their high pressing, dominating the centre of the park and creating plenty of issues for Bradford and they almost took the lead through a thunderbolt effort from Craig Mahon. A long throw into the box was headed to the edge of the area, where Mahon ran onto it and struck it on the volley, with Drench only able to push it out for a corner. They didn’t have to wait too long before the home side did take the lead though, it started with a Bradford corner, which Chester brought out quickly on the counter attack, it lead to a delightful ball from Simon Grand and a powerful header from Anthony Dudley to beat Steven Drench in the eleventh minute. The chances continued to pile up for the home side, Gary Stopforth saw a chance blocked after intercepting well and driving into the penalty area, before Mooney and then Hughes fired too close to Drench. Chester could have been out of sight, and got the third just after the half hour mark, Craig Mahon, who had been terrific in the opening half hour, picked the ball up twenty-five yards out, burst into the penalty area, squeezed the ball through a defenders legs before firing under Drench. Despite being so dominant in the first half, Chester almost let Bradford back into the game, ten minutes before the break. Dom Smalley’s back pass to Shenton was cut out by Beesley, Shenton pressed him but Beesley played in Johnson, with only one Chester defender to beat, the Bradford striker fired over the crossbar. Bradford did get a second before the break, and again it will have alarmed the Blues defence with how easy it was to breach the back line, Beesley’s flicked header got Johnson one on one with Shenton, the Blues’ stopper made a good save but it rebounded off Jake Beesley, who converted at the second attempt. The visitors started the second half brightly, pressing Chester back into their own third of the pitch, but it was the Blues who had a golden opportunity to restore their two goal cushion with a lightning quick counter-attack, lead by Dudley before playing in Mooney, but the on-loan Fleetwood winger could neither find the bottom corner, or pick out Hughes with the goal at his mercy. The Blues were made to pay for that wasted chance three minutes later as Bradford equalised, Conor Branson’s header from a corner was pushed away by Shenton, but Oli Johnson was on hand to poke the ball home from two yards out. Bradford were far more competitive in the second half, but the Blues again looked strong on the counter attack, Dudley slipping in Hughes down the right, he cut inside onto his left and curled an effort off the right post. Minutes later and Scott Burton won the ball back high up the pitch and played it to Dudley, who forced a smart save down to his right from Steve Drench. With two thirds of the game gone the Blues found another opportunity fall their way, Shane Killock’s header hit the back of Matty Hughes’ head, Anthony Dudley then found Mooney, who cut inside, onto his left foot and curled an effort that Drench was equal to. Shortly after the Blues began to apply a little more pressure, it began with an Anthony Dudley run from inside his own half all the way into the Bradford block, before being blocked for a corner. From the resultant corner Grand saw an effort blocked, another corner and Hughes had a shot blocked before Grand headed just over from a third corner. With just over fifteen minutes remaining Chester grabbed their fourth, and Mooney’s second of the game. The outstanding Craig Mahon picked up an interception, playing in Mooney, who cut inside and this time found the bottom corner. Bradford kept searching for an equaliser though, and had a couple of half-chances with Beesley, but couldn’t test Grant Shenton in the Blues goal, while the home side brought on Deane Smalley and Luke Jordan for their debuts. It was the latter who had the biggest impact, as he was brought down by Conor Branson in the penalty area, earning the Blues a spot kick. Up stepped Anthony Dudley, who smashed it down the middle, with Drench diving to his right to secure three points for the Blues. Chester: Shenton, Dom Smalley, Grand, Burton (c), Moran, Howson, Mooney (Deane Smalley 80), Stopforth, Dudley, Hughes (Pritchard 76), Mahon (Jordan 80). Bradford: Drench, Ross, Lowe, Wroe, Killock (c), Havern (Nowakowski 77), McKenna (Knight 73), Branson, Beesley, Johnson, Clee (Spencer 62). Goal Scorers: Chester: Mooney (7, 74), Dudley (11, 90+1), Mahon (33). 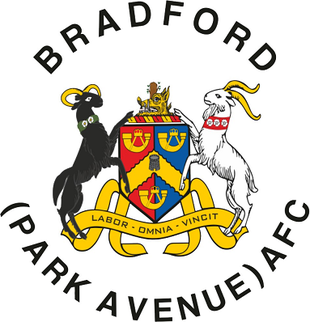 Bradford: McKenna (4), Beesley (43), Johnson (52). 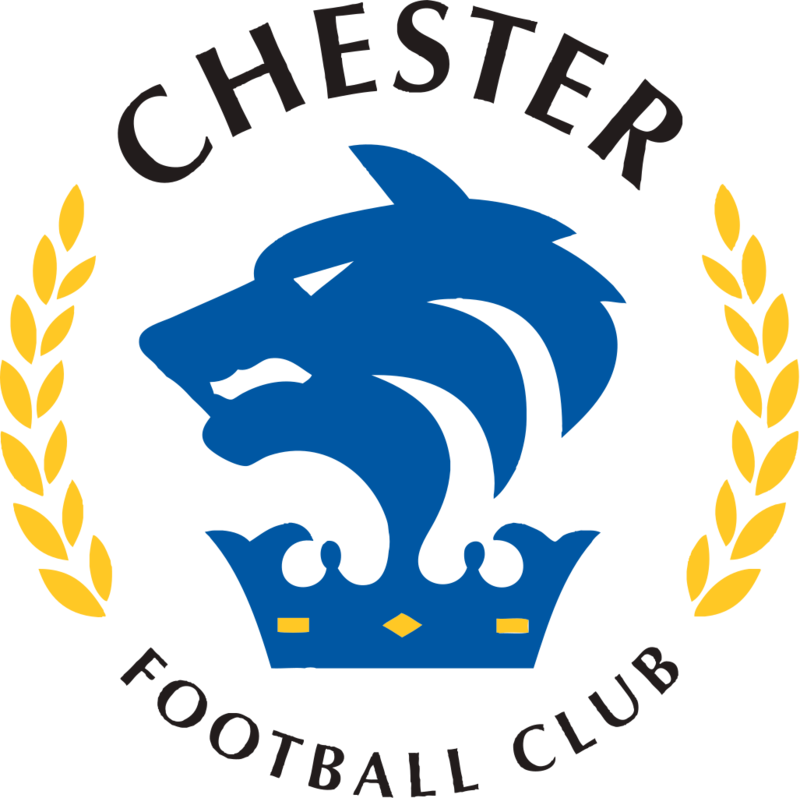 Yellow Cards: Chester: Moran. Bradford: Knight. Assistants: Edward Duckworth, James Sheppard.